Wonderful, compassionate and caring young women! 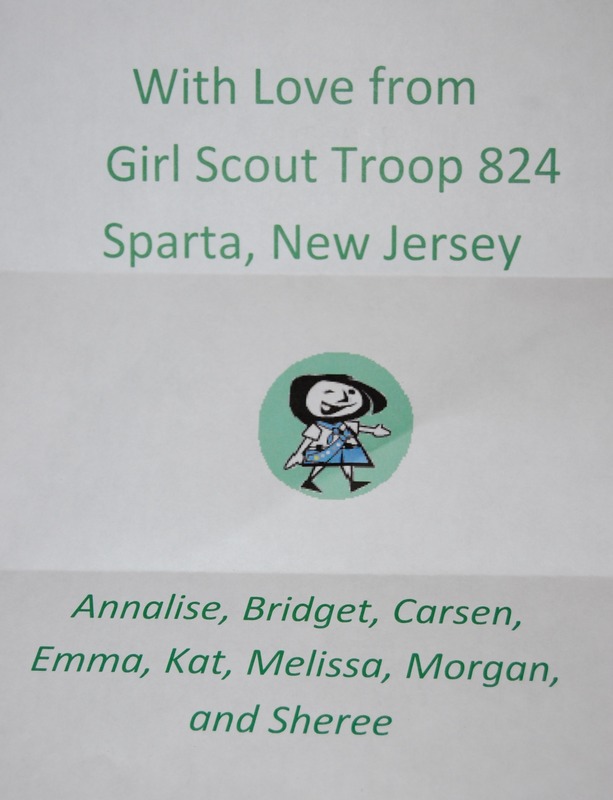 “Wonderful, compassionate and caring young women.” This is exactly how Girl Scout Troop 824 from Sparta, New Jersey was described to me. This description is right on the money. A few weeks ago I received an email from the leaders of the eight Cadette Girl Scouts, Annalise, Bridget, Carsen, Emma, Kat, Melissa, Morgan, and Sheree, stating that they had just completed 8 no-sew fleece blankets to donate to Layers of Love. They have put together 4 blankets for boys and 4 for girls. The boys and girls who are undergoing chemotherapy treatment will love these blankets, they will provide them with plenty of comfort and warmth as they continue on with their treatment. We love the patterns they chose for the children! We are very blessed that they chose us to donate not only the blankets to, but giving of their time and talent also. We are so grateful for their generous donation to children who are battling cancer. 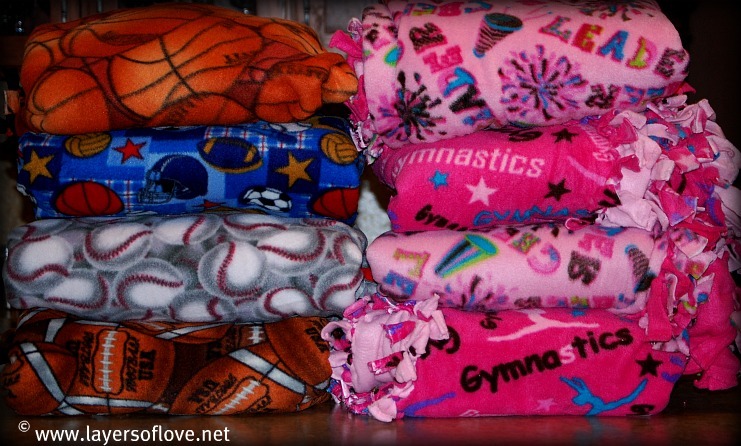 These blankets will mean so much to the children who will receive them. Layers of Love offers a BIG thank you to the Cadette Girl Scout Troop 824 of Sparta, New Jersey and their leaders, Diane and Pat. We couldn’t do what we do without the help of wonderful groups such as yours. You are all indeed wonderful, compassionate and caring young women, THANK YOU!! This entry was posted in Uncategorized and tagged blankets, Cadettes, cancer, chemotherapy, Children, Donations, fleece, Girl Scout Troop, giving, New Jersey, no sew, Sparta. Bookmark the permalink.